The Works is located right across the street from the Hamilton Convention Centre. The front of the restaurant isn’t flashy, its a boring grey building with a simple sign. Doesn’t look like much, but it’s quite cosy inside. 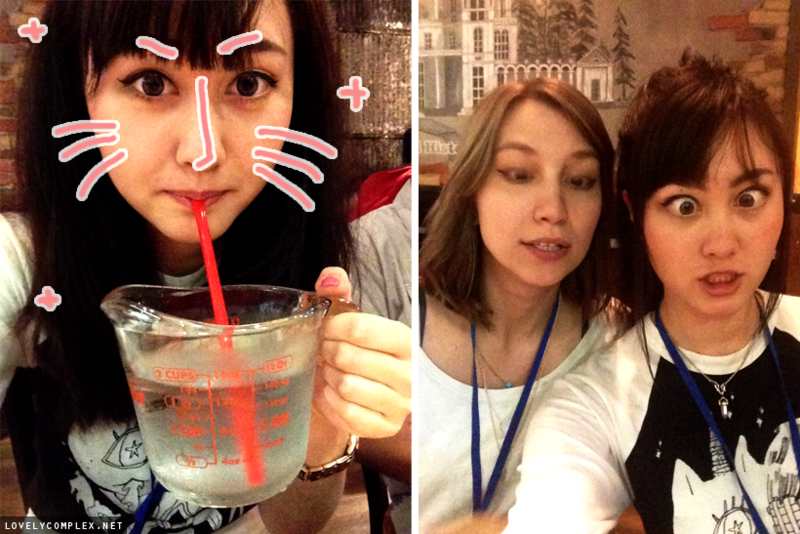 Staff were really chill and friendly as well! 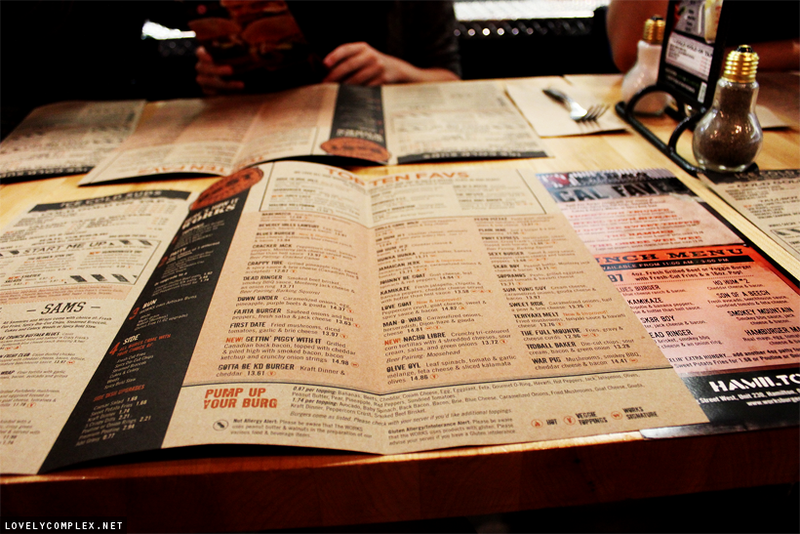 This whole section of the menu was for burgers! So many interesting options! 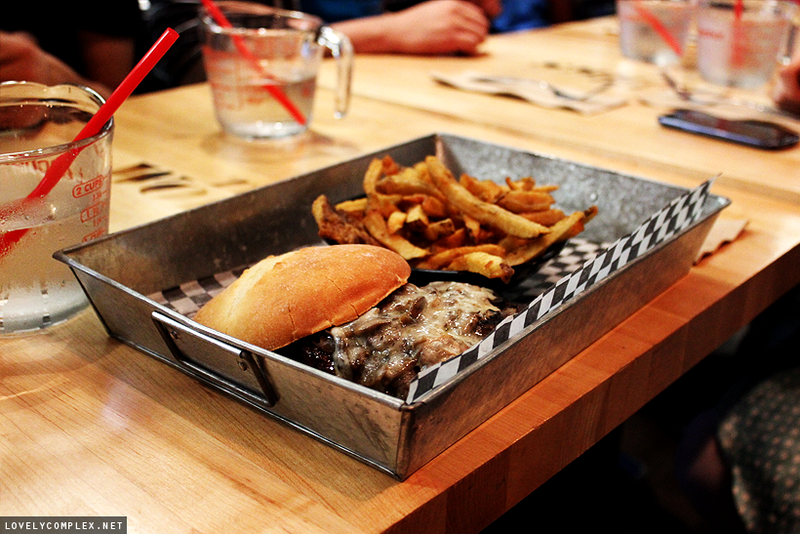 Elk patties, poutine burgers, avocado and cheese and peanut butter… I’m sure they’re all great! But I opted to play it safe haha. On Emily’s recommendation, I got the Teriyaki Melt ($13.76), featuring fried mushrooms, teriyaki sauce and havarti cheese on a chicken breast patty. 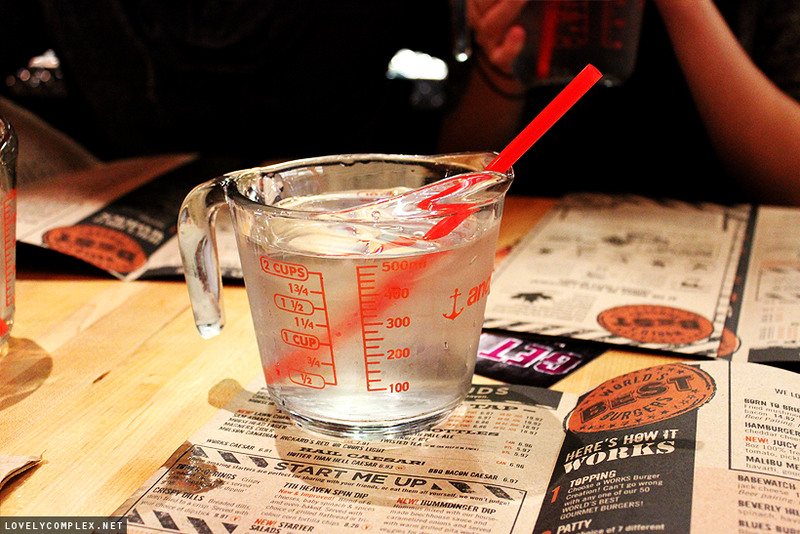 Drinks came in measuring cups? Haha we all thought this was quite interesting! At least you could track how much you were drinking. A lengthy debated ensued as to how the restaurant was able to store all of these, especially since they’re not easily storable? 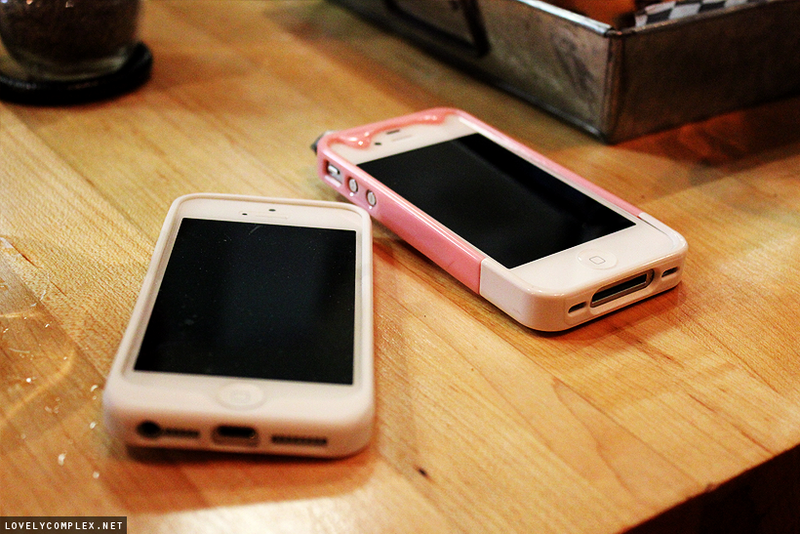 Changed my case to a white rubber cellaris phone case that came with my phone since my other ones were dirty. Aaaand the burger arrives! So good but so filling omg. The patty was thick, the mushrooms and cheese worked really well together. Super filling though, I could only finish about 2/3. Aaand what’s this?? 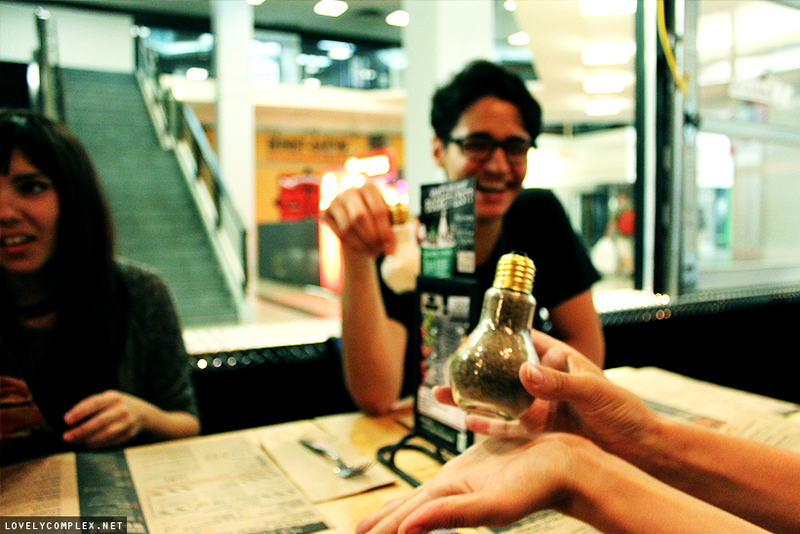 A lightbulb? 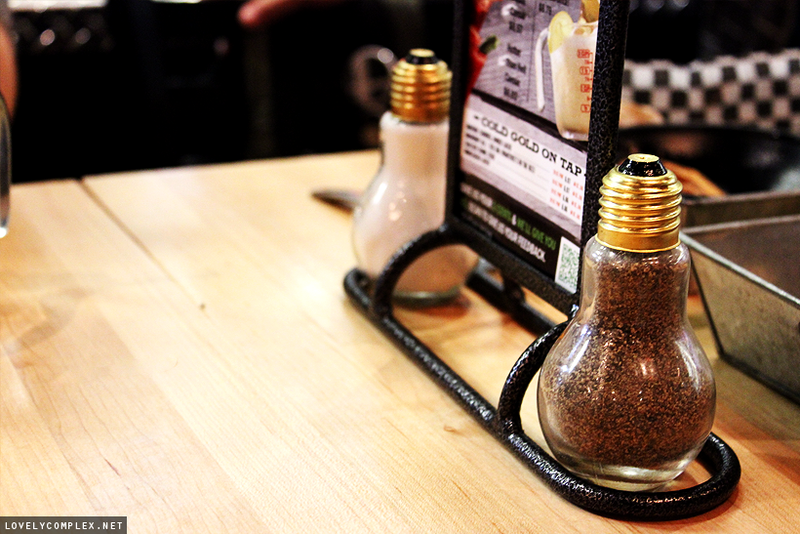 Yup, lightbulb salt and pepper shakers! Wow so hip! !